It is hard to believe we have already finished the first half of the year. Christmas and the New Year will be here before we know it. A lot has happened in the first part of the year. The major market indices have remained in positive territories, with slight advancements over the first quarter. More importantly, we have celebrated 30 and 50 year anniversaries, work advancements, retirements, graduations, incredible travels and a lot of birthdays. We hope that the remainder of the year continues to bring you, good health, happiness and fulfilment of what matters most in your lives. During the last quarter, our What Matters Most: Family Fest 2017 was a great success! 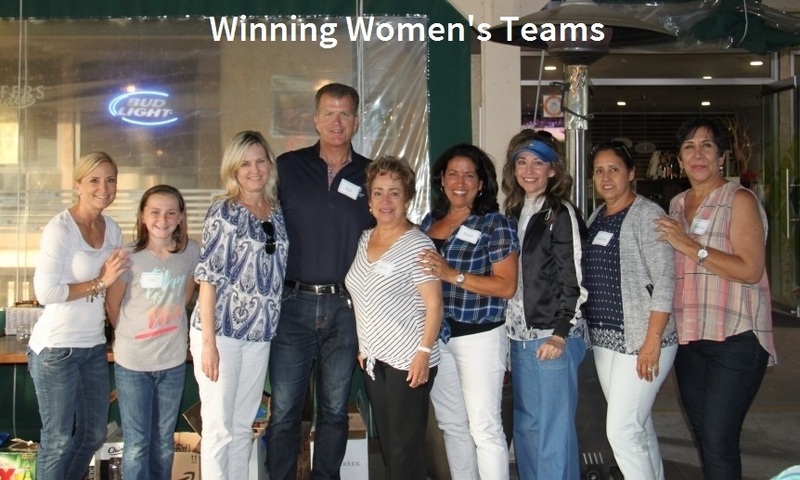 We had over 50 participants at Golfer’s Paradise in Fullerton for our Putting Contest and barbeque. The weather cooperated and lots of stories and good times were shared. We had an unbreakable tie for the women, hence eight winners and an extremely low score for the men. It’s always a pleasure to have a great time together at this event. We hope you can make the next one! We have fielded several questions this year about the impact of rising interest rates and how that might affect credit cards and mortgages. In addition, while reviewing our client’s estate plans and the potential for tax law change, clients have asked if any changes will be made in the future. While this has been a moving target for the last several years, we do not know at this time whether any adjustments will be made. As we know more, we will continue to keep you informed. Lastly, from some of our car enthusiasts, we have had more than one conversation about fuel efficient automobiles. You've probably heard the news that the Federal Reserve has been raising its benchmark federal funds rate. The Fed doesn't directly control consumer interest rates, but changes to the federal funds rate (which is the rate banks use to lend funds to each other overnight within the Federal Reserve system) often affect consumer borrowing costs. Forms of consumer credit that charge variable interest rates are especially vulnerable, including adjustable rate mortgages (ARMs), most credit cards, and certain private student loans. Variable interest rates are often tied to a benchmark (an index) such as the U.S. prime rate which typically goes up when the federal funds rate increases. Although nothing is certain, the Fed expects to raise the federal funds rate by small increments over the next several years. However, you still have time to act before any interest rate hikes significantly affect your finances. If you have an ARM, your interest rate and monthly payment may adjust at certain intervals. For example, if you have a 5/1 ARM, your initial interest rate is fixed for five years, but then can change every year if the underlying index goes up or down. Your loan documents will spell out which index your ARM tracks, the date your interest rate and payment may adjust, and by how much. ARM rates and payments have caps that limit the amount by which interest rates and payments can change over time. Refinancing into a fixed rate mortgage could be an option if you're concerned about steadily climbing interest rates, but this may not be cost-effective if you plan to sell your home before the interest rate adjusts. It's always a good idea to keep credit card debt in check, but it's especially important when interest rates are trending upward. Many credit cards have variable annual percentage rates (APRs) that are tied to an index (typically the prime rate). When the prime rate goes up, the card's APR will also increase. Check your credit card statement to see what APR you're currently paying. Interest rates on federal student loans are always fixed (and so is the monthly payment). But if you have a variable rate student loan from a private lender, the size of your monthly payment may increase as the federal funds rate rises, potentially putting a dent in your budget. Because repayment occurs over a number of years, multiple rate hikes for variable rate loans could significantly affect the amount you'll need to repay. Because interest rates are generally lower for variable rate loans, your monthly payment may be manageable, and you may be able to handle fluctuations. However, if your repayment term is long and you want to lock in your payment, you may consider refinancing into a fixed rate loan. Make sure to carefully compare the costs and benefits of each option before refinancing. While no one can predict the future, the possibility of tax reform is once again in the spotlight. If it occurs, it may very well include repeal of the federal estate tax and related changes to the federal gift tax, the federal generation-skipping transfer (GST) tax, and the federal income tax basis rules. In general, an estate tax is a tax on property a person owns at death. In one form or another, a federal estate tax has been enacted or repealed a number of times since 1797. *For 2010, the estate tax was repealed, but later retroactive legislation provided that an estate could elect to be subject to estate tax in return for a stepped-up (or stepped-down) income tax basis for most property. The estate tax was extended in 2011, with some changes. The estate tax has undergone many changes over the years, including the addition of a federal gift tax and a federal GST tax during modern times. A gift tax is a tax on gifts a person makes while alive. A GST tax is a tax on transfers to persons who are two or more generations younger than the transferor. In recent years, property owned at death has generally received an income tax basis stepped up (or down) to fair market value at death. During the 2000s, the estate, gift, and GST tax rates were substantially reduced, and the gift and estate tax lifetime exclusion and the GST tax exemption were substantially increased. The estate tax and the GST tax, but not the gift tax, were scheduled for repeal in 2010 (although certain sunset provisions would bring them back unless Congress acted), but legislation extended the estate tax and the GST tax in 2011. (For 2010, the estate tax ended up being optional and the GST tax rate was 0%.) The gift and estate tax lifetime exclusion and the GST tax exemption were increased to $5,000,000 and indexed for inflation in later years. For 2013, the top estate, gift, and GST tax rate was increased to 40%, and the extension and modifications were made "permanent." Repeal of the estate tax seems possible once again. If repeal occurs, it could be immediate or gradual as during the 2000s. Would it be subject to a sunset provision, so that the estate tax would return at a later time? All of this may depend on congressional rules on the legislative process, other legislative priorities, and the effect the legislation would have on the budget and the national debt. If the estate tax is repealed, the gift tax may also be repealed. However, it is possible that the gift tax would be retained as a backstop to the income tax (as in 2010). To some extent, the gift tax reduces the ability of individuals to transfer property back and forth in order to reduce or avoid income taxes. If the estate tax is repealed, the GST tax would probably be repealed (as in 2010). If the gift tax is not repealed, it is possible that the lifetime GST tax provisions would be retained, but the GST tax provisions at death repealed. If the estate tax is repealed, it is possible that the general income tax basis step-up (or step-down) to fair market value at death would be changed to a carryover basis (i.e., the decedent's basis before death carries over to the person who inherits the property). In 2010, a modified carryover basis (a limited amount of property could receive a stepped-up basis) applied unless the estate elected to be subject to estate tax. It is also possible that a Canadian-style capital gain tax at death could be adopted in return for a stepped-up basis for the property. You're searching for a new car and interested in fuel-efficient vehicles. On the surface, they sound like a good idea: You may save money by making fewer trips to the gas station, and you'll help protect the environment. However, there are pros and cons to owning and driving a fuel-efficient vehicle, particularly when it comes to your finances. Many different vehicles fall into the fuel-efficient category. 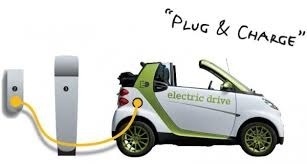 There are electric vehicles (EVs), which run solely on electricity and produce zero emissions, Hybrids (traditional and plug-in), which have a small internal combustion engine as well as batteries that power an electric motor, and alternative fuel vehicles which run on diesel, bio-diesel, ethanol, compressed natural gas, or hydrogen fuel cells. One of the biggest factors in deciding whether to buy a fuel-efficient vehicle is cost. Generally, fuel-efficient vehicles come with a higher purchase price that can be off-putting when comparing them to standard vehicles. And if your fuel-efficient car is equipped with an expensive battery, you must be prepared to pay even more when the battery eventually needs to be replaced. Other drawbacks include scarcity of public chargers, limited driving range, and fewer model options to choose from (as opposed to traditional vehicles). On the other hand, driving a green vehicle could add some green to your wallet. Many EVs and hybrids qualify for a federal income tax credit. Depending on your vehicle's battery capacity, you could earn a credit ranging from $2,500 up to $7,500. However, certain restrictions do apply. For more information, see IRS Form 8936, Qualified Plug-in Electric Drive Motor Vehicle Credit. Your auto insurance provider may also offer discounts if you drive an EV or hybrid. It's worth checking to see whether you will save on insurance by driving a fuel-efficient vehicle. Can you afford a more expensive fuel-efficient vehicle, or does it make more sense to buy a conventional vehicle? How much driving do you do in a typical week? Do you want an EV or a hybrid? Or do you want to consider an alternative fuel option? If you choose an EV or plug-in, are you able to charge it at home? If you frequently drive longer distances, will you be able to recharge it easily on the road? When will you need to replace the battery in your vehicle? How expensive will it be? If you don't drive your vehicle on a consistent basis, you might consider sticking with a conventional vehicle. For example, after just one week of not driving an EV or hybrid vehicle, the battery could be affected and may not function properly. The second quarter proved to be a bit bumpy for equities, but each of the benchmarks listed here closed the quarter ahead of their first-quarter closing values. April saw equities close the month ahead of March, buoyed by favorable corporate earnings reports, proposed tax cuts, and strong foreign economic advances. Nasdaq led the way posting monthly gains of 2.30%, followed by the Global Dow, which gained almost 1.50%. The large-cap Dow advanced 1.34%, ahead of the S&P 500, which increased close to 1.00% for the month. Even the small-cap Russell 2000, which has had some rough weeks, closed April 1.05% ahead of its March close. June saw mixed results for the indexes listed here. The Nasdaq lost almost 1.00%, while the Russell 2000 made up for its May losses, advancing almost 4.00% over May. The Dow had a strong June, closing the month up 1.62%, while the S&P 500 and the Global Dow failed to advance 0.50% over May. Long-term bond prices increased in the second quarter with the yield on 10-year Treasuries falling 8 basis points. The price of gold fell during the second quarter, closing June at $1,241.40, down from its $1,251.60 closing price at the end of the first quarter. Chart reflects price changes, not total return. Because it does not include dividends or splits, it should not be used to benchmark performance of specific investments. As always, we look forward to meeting with you in the upcoming months.